When your home heater quits working during winter, or when your air conditioner malfunctions during the summer, you are looking at agonizing days tracking down the repair man and steep repair costs just to make your house a livable home again. It is normal for appliances at home to break down, especially when they are older than five years. Water pipes burst, a rat may chew away the electrical insulation, causing serious short-circuiting that could damage electronic devices worth thousands. All these mean one thing: more money you don’t have to cover repairs and replacements you did not expect. Smart homeowners insure themselves against such situation by investing in a home warranty coverage. This is an optional cover that will come to your aid when major appliances or systems in your home need repairs or replacements. It is different from the mandatory home insurance that covers the entire house from disasters. If you are considering getting a warranty for your home, it basically means you are confident enough about all the equipment and appliances you have invested in and wish to have a peace of mind knowing that a third party will have your back when the inevitable happens. But before you get one, there are five most important yet little known facts you should know about home warranties. Home warranty plans are structured in a way that serves all kinds of home owners. This explains why different policies cover different appliances and systems and may even exclude specific circumstances. A basic coverage, for instance, may be the most affordable but can only cover the electrical and plumbing systems including equipment and parts and major appliances such as oven, refrigerator, and the TV and only repairs. Basic home warranty coverage does not meet your needs? You could however pump it up to cover the heating and cooling systems and to include replacements but naturally, you will have to dig deeper into your wallet. A basic home warranty way cost just a few hundred dollars annually, but its coverage will be very limited. This is ideal for homeowners who are very confident about their appliances and systems, or those who have relatively newer homes with most appliances and equipment still covered by the manufacturers’ warranties. Homes older than a decade with equally older appliances and systems will need a home warranty plan that covers more systems and appliances, and different situations such as electrical faults and human error. A wise shopper should determine which home warranty is ideal for his/her home based on age and state of the systems or appliances to be covered. 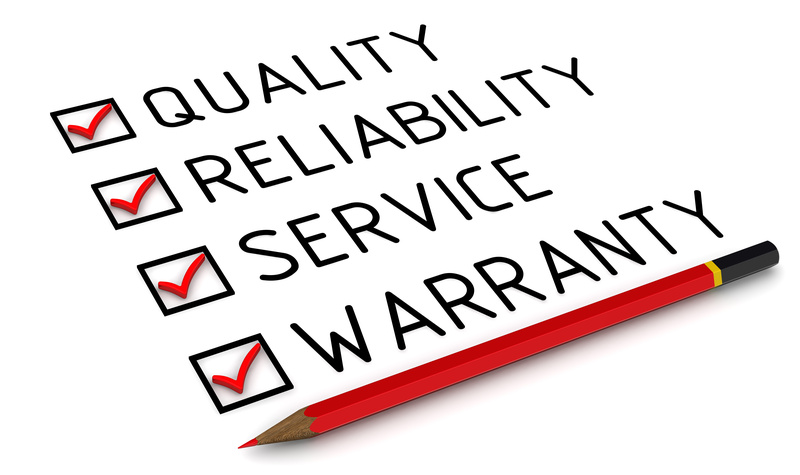 Considering that a warranty is a form of insurance, it is fair to expect that it only provides coverage for a specified duration. Typically, home warranties provide coverage for period of one year but they are renewable. If you do your homework and find the right company to purchase your home warranty from, you should be able to negotiate a good deal tailored to your specific needs including duration. For instance, if you plan to upgrade your plumbing in a year and half, you could get a good deal for the time you will be using the current system without having to pay premiums for two years. Your home warranty carrier is business that strives to offer the best service while keeping expenditure to the minimum. The main reason these companies thrive is because they strike deals with manufacturers and dealers of home equipment and appliances, which go a long way to keep their premiums low. This means they handle all the technical aspects of repairs and replacements on your behalf but you will always be at the center of it, determining whether the quality of service and replacements are what you paid for. Companies that insure home appliances and systems heavily rely on repeat customers, especially since a home warranty is optional unlike a home insurance. They cannot afford to insure you for one year only, which is why their products are constantly revised to meet the market demands. To them, your reaction after a service matters a lot because homeowners considering their services will always want to know what existing customers have to say about them. A typical homeowner has invested heavily in their property and everything in it, and none would be willing to throw money away in a product that does not serve them. In a way, investing in a home warranty is reinforcing the confidence you have in your appliances and home systems in general.